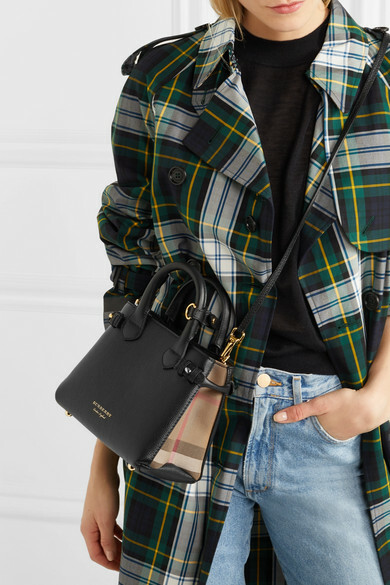 We love the way designers are scaling down their signature bags to make irresistible miniature versions. 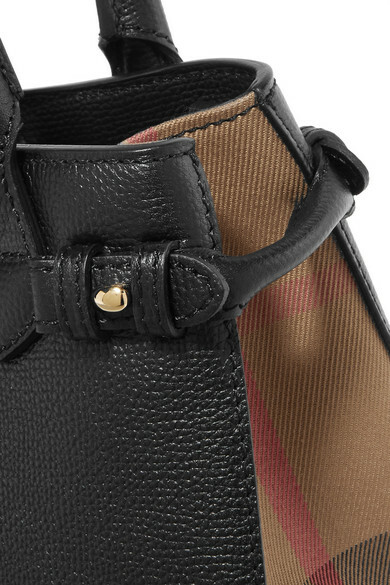 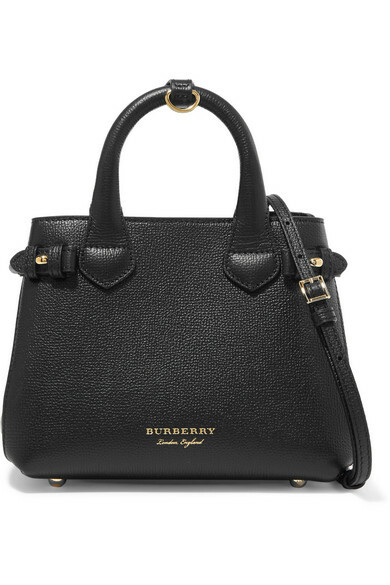 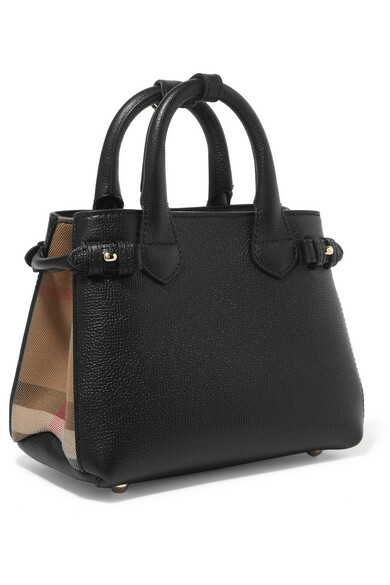 Burberry's tote is made from durable black textured-leather with panels of the label's iconic check on either side. 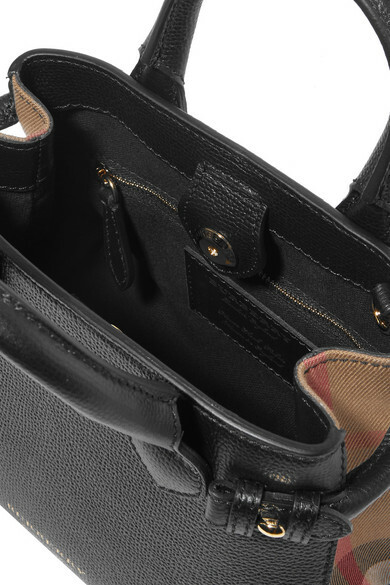 Fill this structured style with your cell phone, cosmetics and keys, using the detachable strap to carry it cross-body. 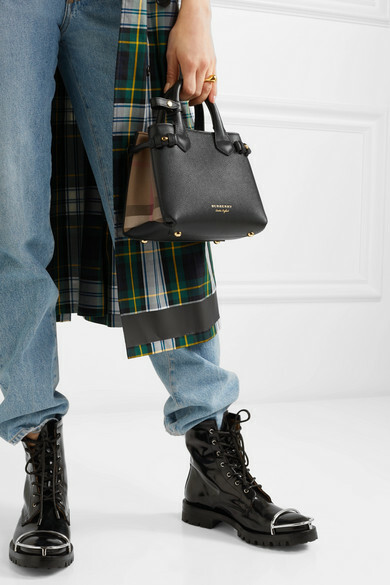 Shown here with: Burberry Trench coat, Burberry Jeans, The Row T-shirt, Alexander Wang Boots, Loewe Shoulder bag, Jennifer Fisher Ring, JW Anderson Earrings.